Following on the whole strawberry, this is the strawberry wedge. Now, As for the templates, you can see they are basically “leaf” or “petal” shapes. 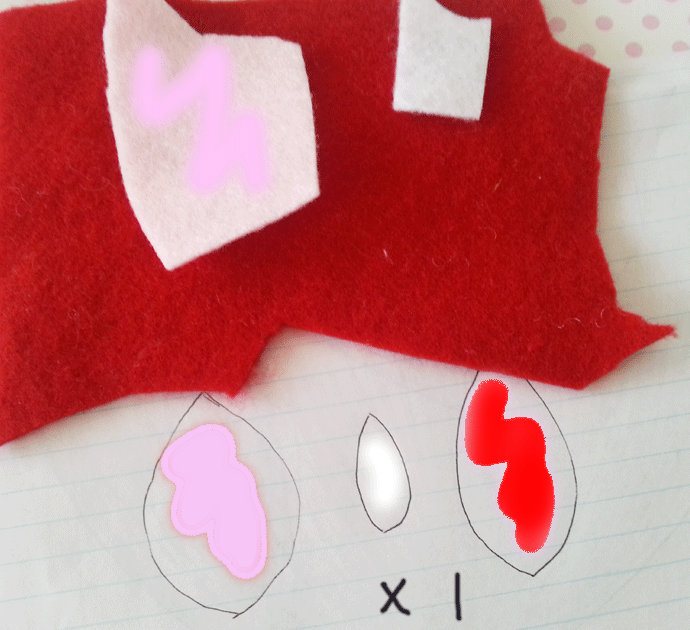 Because the red piece is smaller than the pink piece, when you sew it and fill it up, it will end up being pulled back and look like a ‘wedge’ or a ‘half’ of a strawbery. Here it is sewn up, I have used black thread for the purpose of this tutorial, however you should use red thread. And that’s it,, a ‘wedge’ or ‘half’ a strawberry. 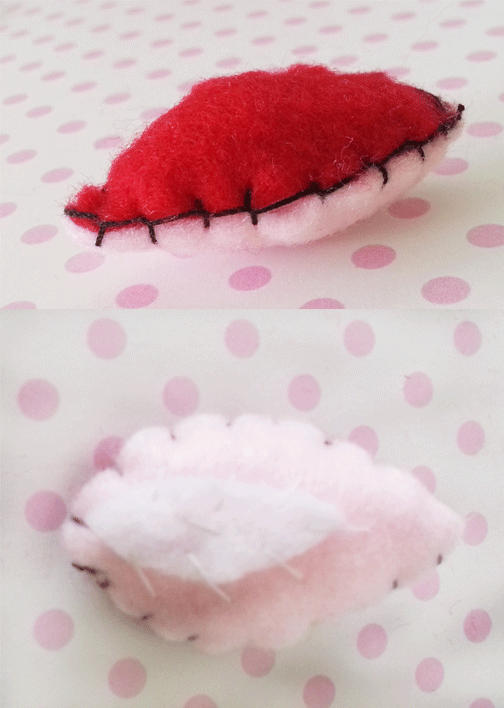 The next tutorial will be the “Strawberry slice ” ^^ Be waiting for that ! 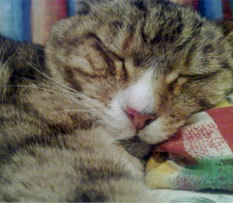 Ah, Thank you so much > w < !! !